A lot of people ask us how the Great Cornish Food Store came about, what lessons we’ve learned along the way and what advice we’d give to anyone else starting out. 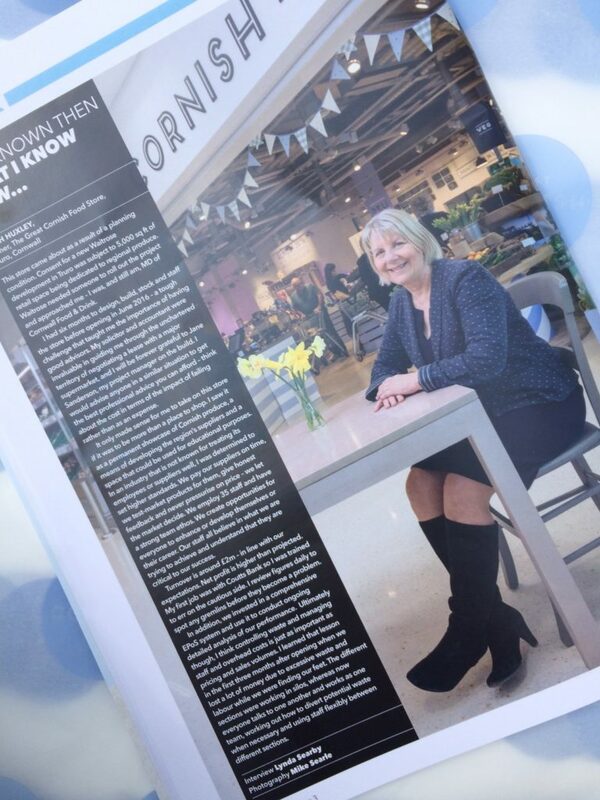 In the April edition of Fine Food Digest (catch it online here and turn to page 16) Ruth Huxley talks about some of the lessons she’s learnt since opening the store back in 2016. For anyone who’s not aware, Ruth took on the store with very little retail experience, so she was in at the deep end and had to learn the hard way much of what we’ve done here. In hindsight it’s amazing to think that in less than three years we’ve transformed our space from a building site to an award winning independent retailer. A big part of that is down to our hardworking team, our lovely loyal customers and our wonderful suppliers. Thank you all!